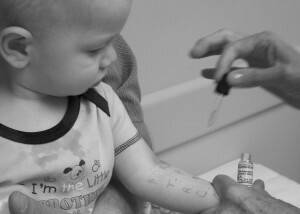 Documentation can help to provide a clearer picture of your child’s health. 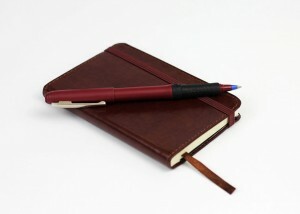 With a combination of daily logs/journals, doctor-provided documentation, and care plans, action plans and ER plans, you provide an additional VOICE for your child's care management. An Action Plan (pdf) can optimize care coordination and provide an important tool to help manage symptoms. The goal is to have a detailed plan of action to know what to do when symptoms are experienced. A plan, designed with a child’s provider, can give individualized instructions on what to do for symptom management and necessary interventions. 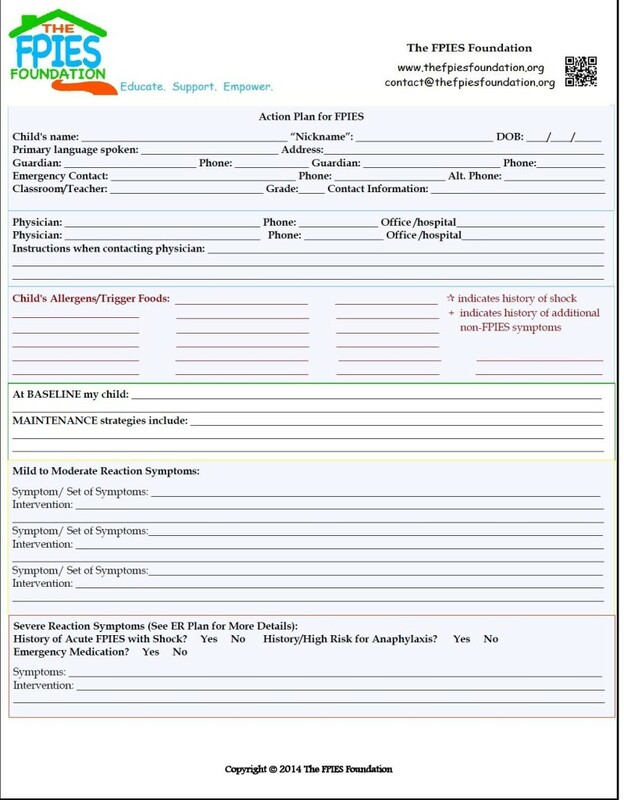 The action plan can include identification, allergy information and emergency contact information and be signed by your child’s provider and a copy provided to all caregivers (babysitters, daycare, school, camps, etc) providing care to your child. FPIES reactions can be severe. It is important to get to prompt medical attention where treatment, such as fluids given into the vein to help stabilize blood pressure and treat dehydration, can be given in order to avoid sepsis-like shock. Preparing a letter for potential trips to the ER, containing both FPIES information and a list of your child’s triggers, may be helpful. An ER Plan (pdf) is a specific, important component of the Care Plan and/or Action Plan and is designed to give protection and a VOICE to your child in times of crisis. Includes the ER letter (template or individualized)– Remember that the ER protocol is given so that your child’s reaction can be considered in the differential diagnosis in the event of symptoms. 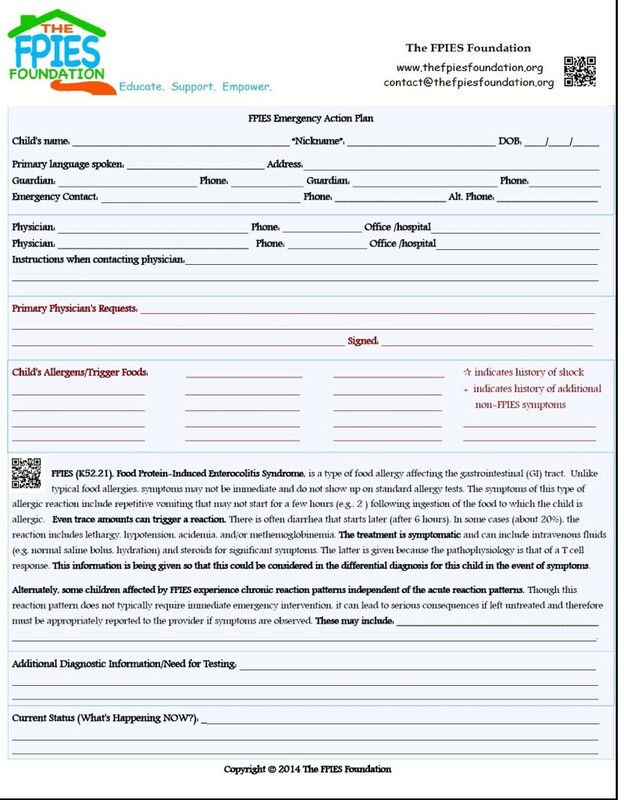 Is specific to your child’s history with FPIES This helps professionals know how to handle potential accidental exposures as well as understand ways to recognize an FPIES reaction in your child. 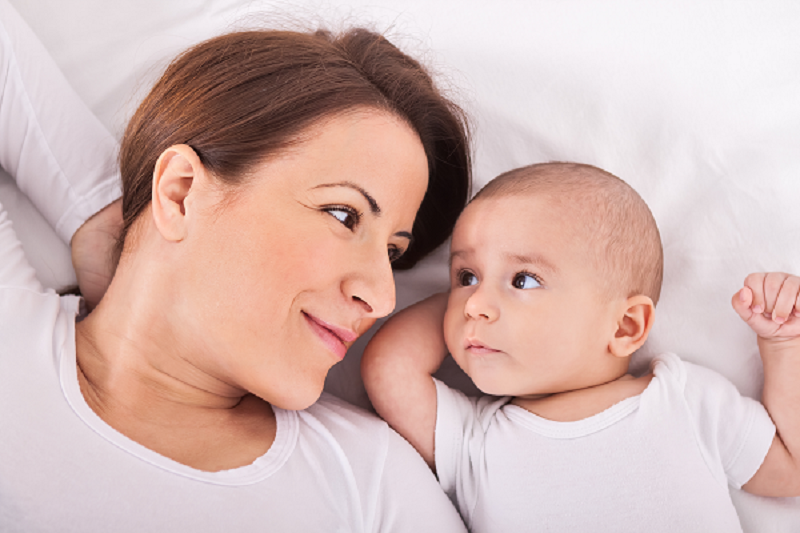 Emergency care operates in a different type of medical setting and will mean adjusting your approach to advocating for your child. Resources prepared in advance will help to ensure that you can communicate more effectively with the ER team when your child needs it most.